This popular 18 hole course offers a fun challenge for the recreational golfer. It is part of our golf package special. 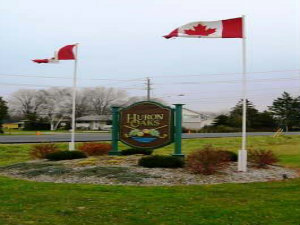 Huron Oaks provides a comfortable and affordable setting for singles couples and families. Whether it is for a round of golf, a game of squash, a fitness workout or just to enjoy dinner, it's all here and the public is always welcome. Our 18 hole Championship Golf Course has been home to the Canadian Tour's Bayer Championship and is also where 2003 Masters Champion Mike Weir played prior to turning professional.